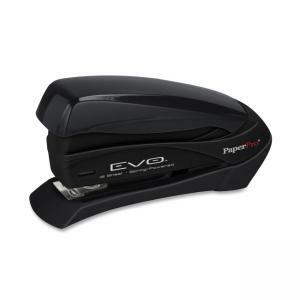 Spring-powered compact stapler delivers one-finger stapling power for up to 15 sheets at a time. Ergonomic design features a comfortable grip and nonslip rubberized base. Drop-in loading with half-strip capacity works with standard staples. Capacity is 105 staples. Desktop stapler includes one rack of staples.